New Zealand's Colin Munro has returned to the national team after successful stints at the Caribbean Premier League and the Afghanistan Premier League. It's been quite some time since New Zealand played international cricket, dating all the way back to March-April this year when they played England in a Test series. In the intervening eight months, many of their players have plied their trade in various Twenty20 leagues around the world and Colin Munro, the opening bat, has had a decent time of it. His latest stint, with Balkh Legends in the APL, fetched him 188 runs from nine matches even as his team finished as the champions of the inaugural edition. Before that, Munro was part of yet another successful campaign, with Trinbago Knight Riders, who won their third CPL title. 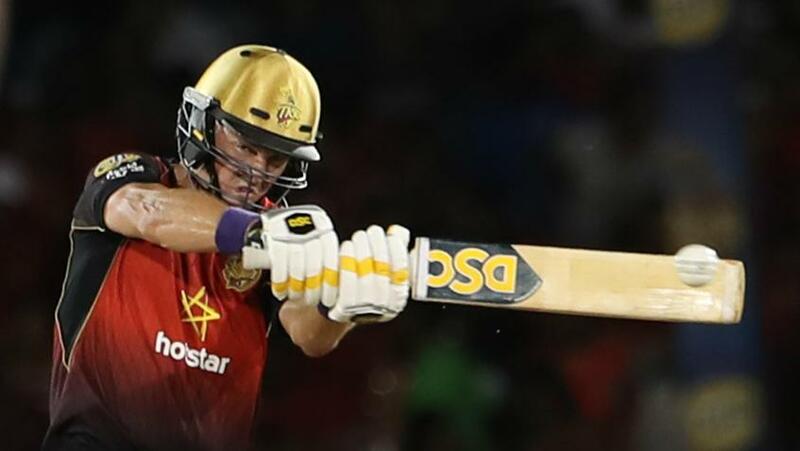 In the final, he starred with an unbeaten 68 to help the Knight Riders chase down a target of 148. Overall, he finished as the tournament's top scorer with 567 runs from 13 matches at 51.54 and a strike rate of 140.34. "It's my first tour to the UAE. So obviously means a lot," Munro said ahead of New Zealand's first T20 International against Pakistan in Abu Dhabi. "The conditions are different from Sharjah (the venue of APL) to Abu Dhabi as the wickets are lower here and a little bit slow, as we have seen by the Aussie series. "In terms of the Afghanistan Premier League, it was good learning. It was nice to get another tournament victory." The man who holds the record for the fastest T20I hundred for New Zealand, off 47 balls, and has three centuries in the format, said it will still be a bit hard to switch from league cricket to international fixtures. New Zealand include uncapped Ajaz Patel in squad for the T20I series against Pakistan. "It is a bit hard," Munro said. "[There are] a couple of new faces here and there but everyone has played for New Zealand, so it's like rejoining the family after being on a sabbatical, a year overseas. "It's just coming back and being a part of a family, and everyone is in good spirits for the first game." The challenge, though, is likely to be tougher than what Munro has faced in T20s this year as not only are Pakistan No.1 on the MRF Tyres ICC Men's T20I Team Rankings, they are also on a 10-match winning streak in the format. "Big challenge, seriously, in these conditions," Munro agreed. "A few guys are coming out of the winter having not played a lot of cricket, so there is a consensus that we are going to go out there and play our brand of cricket and hopefully it's good enough for the day." But players who have played T20 cricket around the world have done well and Munro feels that will bring a lot of confidence to the unit. "Everyone is coming in with a bit of confidence. Corey (Anderson), who hasn't played for the BlackCaps for a wee while, did really well for Somerset this year," Munro pointed out. "He brings a lot of confidence into the group and the guys who have got a season of play have done pretty well. So yeah, everyone is ready to go for the first game." The first of the three T20Is against Pakistan will be played on Wednesday, October 31 in Abu Dhabi followed by fixtures 2 and 4 November in Dubai.